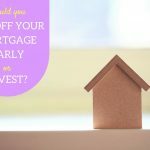 About a month ago, we had a pretty lively discussion about whether or not you should pay off your mortgage early. A number of readers made great points on both sides of the debate. Since that time, I put together some thoughts on how to pay off your mortgage early for those that are interested in doing so. Today, I wanted to share some thoughts additional thoughts on the topic. While I know that I number of you have weighed in on this already, I still thought it would be worth asking… As I’ve noted previously, we’re doing a bit of both. We’re paying down our mortgage ahead of schedule, but we’re not committing every last penny to the effort. Instead, we’re directing a sizable chunk of our ‘discretionary’ funds to our investment portfolio. I would take advantage of the historically low interest rates right now and refinance your home for 30-years. Mark my words…we will experience excessive inflation like we did in the 1970’s. The answer is probably differnt for each person. I have $250k remaining on my 15 yr mortgage at a fixed rate of 3.75. I fully fund my IRA and 401K. I save my extra funds, not only for a safety fund but for buying opportunities too. Now is a great time to pick up investment real estate. I spent $110K cash for an rental house rented it out for $1200 a mo. I have annual expenses of $3500, so I net $10,900 a year. that is a 9.9% return on my money every year. I save the extra rent to be ready for the next opportunity. In a little over 10 years, the investment paid for itself. You always have to have your safety fund. I agree with Jason’s comments (#23). I also think those who think of a mortage as an inflation hedge should be aware that that thinking would only properly apply to a fixed rate mortgage, as inflation will trigger serious hikes in interest rates. In a deflationary environment of course, the arguments for paying off your mortgage asap are redoubled. Disclaimer re: My comments regarding financial aid. I don’t have knowledge about how they calulate the aid. I’m just a dumb parent (NOT an expert!) sharing with you what I did. Get expert advice, of course. Go through the FAFSA application (www.fafsa.edu.gov). That’s what I did and decided to put everything into my house because of financial aid. I am wondering how paying off our mortgage early vs. investing in a Roth IRA would affect any financial aid we might qualify for for our 13 yr old who will start college in 2014? For the average person frugality is the key and keep mindless spending to a minimum. Don’t care how you shake it, the bottom-line is a mortgage is a debt and you’re paying interst the entire life of the mortgage. Tax breaks for mortgage interest? Unless it is a dollar-for-dollar deduction in your tax due (401k contribution immediately reduces your AGI), you’re kidding yourself if you think dragging out a mortgage is sound. A paid-off house not only gives you peace of mind, but is equity. As the mortgage is paid off other avenues for investing will appear and you will have the equity in your house for a fallback. The AVERAGE working-class person needs to eliminate their debt, be contributing to their 401k and IRA, then make other investments as their disposable income dictates. Our house is currently $120k underwater. We owe $405k total. We currently pay $22k in interest annually(5.75% interest rate) each year. At this payment rate, it would take until 2021 for us just to be at the market value of our home. At that time we would have paid $288k in interest; over the total life of the loan, we’d pay $445k in interest, plus the $405k principal; $805k total for a house now worth $288k?! I think NOT paying off the mortgage early would be a stupid decision. If we just stick the mortgage money we *would* have paid into a nice IRA, even at 0% interest, we would have $445,849.23 for retirement and a paid off house in thirty years. Not too shabby. If you have a 100,000 loan at 5% interest, you pay $93,255.78 in interest. (Unless of course, you pay bi-weekly or pay it down.) When you itemize the interest, you get a return of about 30% back on your taxes. Which in this case is 27,976.734. That brings your cost down to about 72,023.266 for that loan. Keep in mind that inflation will bring that value down even further, BUT the same inflation rate applies to the money that you can make by investing in stock. In 30 years that is estimated to be about 115% according to inflation calculators, but it isn’t a factor unless you are holding $$s. A growing company can give you a huge return. For instance, if you invested in Microsoft in the early 90s. An established company will likely not double in intrinsic value over a 30 year period. The home value can increase at 8% per year, but so can a stock value. Again inflation applies to both. For me, I choose to pay my house off, so I can be more risky in my work and other investments. I can also loose my job and not worry about it. Like a lot of people in these uncertain economic times I have been re-examining my financial strategies and one of the things I have been considering is paying off my mortgage early; if for nothing else but the peace of mind a paid for house could offer. After reading all the posts and going back and forth in trying to decide what to do, I finally got to post #23 from Jason and it puts it all in perspective. Jason is absolutely right. If you are neglecting paying off any debt and instead are investing the money you could be using; in essence you are gambling (investing) with borrowed money. I’m not a financial guru but I think most advisers worth their salt will tell you this is just something you do not do. Thanks Jason for making a great point! I am going to take the sure road and pay off my mortgage. For those saying to invest in the stock market instead of paying off you house early. If I’m sitting here with a paid off mortgage are you recommending that I take out a loan against my house to invest in the market? Thats basically what you are saying. You’re joking right? Someone please put a price tag on owning your home outright. You can’t. I have a modest income, a modest mortgage, and some savings. I also have kids in college. I am going to pay all my savings towards my mortagage because equity in my house will not count when my kids apply for financial aid. Interesting discussions…I am still not sure. We have a home worth about $800k and a $400k mortgage. We are 60 and 61 years old. The cash flow piece is interesting. Our mortgage is $2500/mo. If I don’t pay off the loan…and keep the $400k in my investment portfolio, I can, even with no interest gain, live for 13.3 years before I would even break even. Our mortgage interest is 5%, so if our money makes even bond level money, don’t I break even and still have the cushion of all that money drawing interest. The comment that the â€˜interest deductionâ€™ is a myth is TRUE, and FALSE. It depends on many factors like: where you live and what your real estate and income taxes are, value of your home, and the principle balance on your home. I live in a modest home in NY and my real estate taxes alone are higher than the Federal standard deduction on my taxes. Being able to deduct my income taxes and mortgage interest are just gravy. Unless the Federal standard deduction increases faster than my real estate taxes I will have a tax benefit from the additional deduction of mortgage interest (even in the last year of my mortgage). Of course, this is not the case for everyone. In states with lower real estate and income taxes there may not be any tax benefit or it may disappear after your principle is paid down a little. What makes this such a difficult topic is it depends on a number of individual things. Even if you determine there is a tax benefit you still have to decide your aversion to risk. Many have argued that your mortgage is cheap money and you can take the money you would pay it down with and invest it to make a higher rate of return. The decision comes down to if you would prefer to take the sure thing (paying down the mortgage) or take the risk of higher returns (investing the money). I believe it makes more sense for me to invest the money and I am leaning that way. However, having the house paid for in 15 years instead of 30 does sound appealing. This is a tough decision and I am struggling with it. Good luck to everyone. @CJ Bowker, I’ve heard your quote “Is being in debt considered just having a loan? What if I have a loan for $100k but also have $100k sitting in a liquid account, would I be in debt?” before. Where does this train of thought come from? My insurance guy said this, when we were talking about the Infinite Banking Concept. I think Rosa is on the right path with the emotional aspect. There is something missing in this conversation thought, definition of being in debt. Is being in debt considered just having a loan? What if I have a loan for $100k but also have $100k sitting in a liquid account, would I be in debt? It’s scary to me to see the answers on this blog. I wonder if it isn’t reason vs emotion. People have so many emotional feelings on debt mostly due to the way they were raised. Financially this is a fairly easy question. Carry a mortgage. Three reasons say it all, liquidity, use and control. Financially it is better to have $100k low interest low where the interest is tax deductible and then compliment that with $100k in a tax-deferred/tax-free account that is liquid with a market rate of return. It wins almost all the time. Now don’t misunderstand, market rate of return does NOT mean invest this in the market. Why would you ever risk money you need? I’m thinking the millionaires gave different answers because this really is more of an emotional question than a financial one – if you have a savings cushion & a balanced portfolio (with the house considered as a safer or less safe investment based on your best guess of your local situation), you’re good either way . One argument for us paying off the mortgage ahead of time is that our incomes are so unequal (especially when I was a SAHM, but even now i make 1/4 what my partner makes because I work in a less lucrative industry and I’m part time). If he lost his job, I could just barely make our basic survival bills – when the mortgage is erased, we could live off just my income easily. (and a job that pays what mine does is really easy to replace if lost, unlike his). So that’s a nice hedge against uncertainty, and a nice freedom – if either one of us gets really unhappy at work, or our family situation changes, we’re each free to quit and not work for a while. We just can’t both do that at once. “If you want absolute peace of mind, donâ€™t have any debt…” LOVE IT! I “own” a home right now, but I must say that i def. feel locked down…having no debt goes a long way to freedom. One advantage to having a stock + bond portfolio which you may not have considered is re-balancing. Recent stock market history illustrates the advantage of re-balancing. When the stock market fell, I had to sell bonds to buy stocks twice because my stocks had lost so much while my bonds stayed about even. Unless you want to re-balance your portfolio by borrowing against your house to buy stocks, you can’t take advantage of steep stock market dips by considering your mortgage to be the bond part of your portfolio. Personally, I believe it is a mistake to think of your personal home (and thus, personal home mortgage) as part of your investment portfolio. One item I have not seen written about is how people think about having a mortgage while having a so-called balanced (stock + bond) portfolio. I believe that there are alot of people with mortgages and high percentage (20-30%)of their money in bonds — its just following the conventional wisdom of portfolio diversification by age, etc. To me, this seems myopic. Holding bonds (or bond funds, etc.) and carrying a mortgage doesn’t make sense beyond some base liquidity levels. Why would someone borrow money with their right hand (the mortgage) while lending with their left (buying bonds)? My experience is that the risk-adjusted interest rate differences ensures the transaction to be money losing. Not to mention the need for the financial industry to take their cut of each transaction — financial friction to me. The case of left hand buying stocks while right hand borrows can make sense with the rates of return, and obviously is the subject of most comments/articles. So, my ad-hoc plan: Buy stocks (index funds) while also paying off the mortgage early. When that is completed–hopefully within a few years– start buying bonds for a truly balanced investment portfolio. I currently owe just over $34k on my mortgage and have committed to paying at least 1k toward the principle each month. From my perspective, I gave my mortgage company $2600 last year (funny, three years ago I gave my CC companies more than that and thought nothing of it). $2600 would pay for a nice cruise, complete with outside cabin. In today’s economy there are no investments that guarantee a 5.85% after tax return. If I cashed in everything except retirement accounts I could just barely pay off the house. Of course that would leave me with no emergency fund, no outside savings and no cash to buy groceries with. One reason often overlooked not to pay down your mortgage is inflation. Your mortgage payment begins to take up less and less of your total income due to inflation. And, the last few years of the mortgage is mostly the repayment of principal so you can benefit by not paying that back due to inflation. As an example, my folks bought their first home in the early 70s for $26,500. At the time, my Dad worked a second job to make sure they could afford the mortgage. He paid it off a few years ago, and the mortgage payment was laughable then. It was less than the average car payment. The inflation works to your advantage as you pay back with dollars that have a lower value. This goes along with the other points made here, which are all solid both pro and con. I liked this post; you’ve summarized the pro and con wonderfully. We chose to pay ours off at a rapid rate – keeps that ‘extra money’ from burning a hole in our pocket for things we don’t need, and applies it to something that is growing in value. For us, it was a good way to make sure we didn’t use that extra money on things that had no value; it was our way of keeping us focused on building our bottom-line equity, while never missing that extra money we sent in on the payments. Self-discipline; we find it necessary, and we’re so glad we did because now our mortgage payment is so low, it isn’t even the cost of a medium-priced automobile. We saved money to pay cash for our cars – have since 1974, and since the house and car are the larger payments in most people’s budgets, it gives us peace of mind at our age when we want just to relax, and use what little spare money we have, for simple pleasures and not be worried about losing what we worked for so many years, to secure. Nickel: You are probably correct, I don’t know what the itemized deduction phase-outs are, or when AMT kicks in. I like Wise Money Matters’ idea as long as you can make more money on your investment. Although that would be difficult if the mortgage still has quite a few years left. I recently sat down and evaluated paying off my mortgage as quickly as possible. I have only had the mortgage for about 3 years out of 20 scheduled. My current payments are about 70% Interest. My current payment is a little under $600 per month. So I am paying roughly $400 per month in interest. If I put an extra $200 towards the principal then I just saved myself $400. That $400 is a guaranteed savings, no matter what the market does. If I invested that same $200 it would take 11 years to make $400 at a return of 10%. Also in 11 years that $400 will not be worth the same. Let’s reverse though and say you only have 5 years left on your mortgage. Now you are only paying $100 a month in interest, and it would take $500 to save the $100 in interest. If you invested that $500 it would take less than 2 years at 10% to make the $100 that you would have saved on interest. I would say if you have a lot of years left on your mortgage and are paying more interest than principal each month, then pay down the mortgage. If you only have a few years left, then Wise Money Matters idea is great. LOL: One thing to keep in mind is that, as your income increases, your itemized deductions start to get phased out. While I realize that being a millionaire isn’t necessarily the same as having a high income, it’s not entirely accurate to say that people at that end of the spectrum will disproportionately benefit from tax advantages of a mortgage. I definitely see the benefit of paying off my mortgage early, but I also see the low interest rate and think that my money can be better invested other places. I want to max out my & my wife’s Roth IRAs first before we think about prepaying the mortgage. If you are thinking about paying down your mortgage at an accelerated rate, think about investing in stocks instead. This will often give a greater return and you can take full benefit of the tax deductions as well. 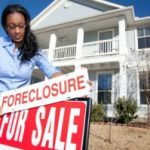 Once your investment has reached the level of your mortgage (plus any taxes paid on your investment) liquidate your investments and pay off your mortgage. 1. You usually get a higher return in stocks especially compared to current mortgage rates. 2. You take full advantage of the tax deduction. The tax deduction is based on interest so paying down your mortgage makes your tax deduction significantly less quickly. This may be offset thought with any taxes on your investment. 3. It keeps your money liquid and reduces risk. Paying down your mortgage doesn’t help you if you get laid off until it’s completely paid off. This gives you essentially a huge possible emergency fund if needed. Once you pay off your house, then your risk is minimized by no house payment (i.e. the bank can’t kick you out if you can’t pay). It’s funny, I was SO excited when we refinanced to 4.75%. And then I realized that we no longer paid enough interest to go above the standard deduction with interest, taxes, charitable contributions, ect. There goes my last reason to not pay off the mortgage early! We didn’t buy a million dollar home – but we did buy a solidly upper-middle-class home in Pennsylvania. I can’t see how many middle-class homeowners who bought houses they could *afford* benefit from the tax deduction – it really is a myth led by realtors, ect. Ah, I need to comment on my own post — For millionares, it makes perfect sense to have a mortgage, because only they can realize the full potential of the tax deduction, at the expense of the non-rich. None of the lowest class, and most of the middle class can’t claim that deduction. The quotes from the millionaires in support of the mortgage were because it was “cheap money” and “government tax system” — it is us poorer folk once again subsidizing and making the rich richer. We absolutely need to repeal the Mortgage Interest Deduction — it’s only fair. Many of us these days have negative equity with the dramatic fall in housing prices over the past 3 years. One reason to pay down the mortgage faster is to turn the negative into positive equity so you can get in a position where you can eventually move out of the house, which you might like to do if you found a more attractive job in another location, for example. The better question that should have been asked of those millionaires is whether they currently have a mortgage on their house — that would’ve been more insightful.